It's our turn in Albany! 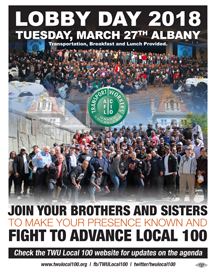 Reserve your place today on one of our buses to Albany to advocate for TWU Local 100's legislative priorities. Click here for the flyer and reservation form.